Being an expat can be very challenging with myriads of obstacles to overcome, but life may become a little bit easier by downloading some of the below apps to help out with your daily routine. 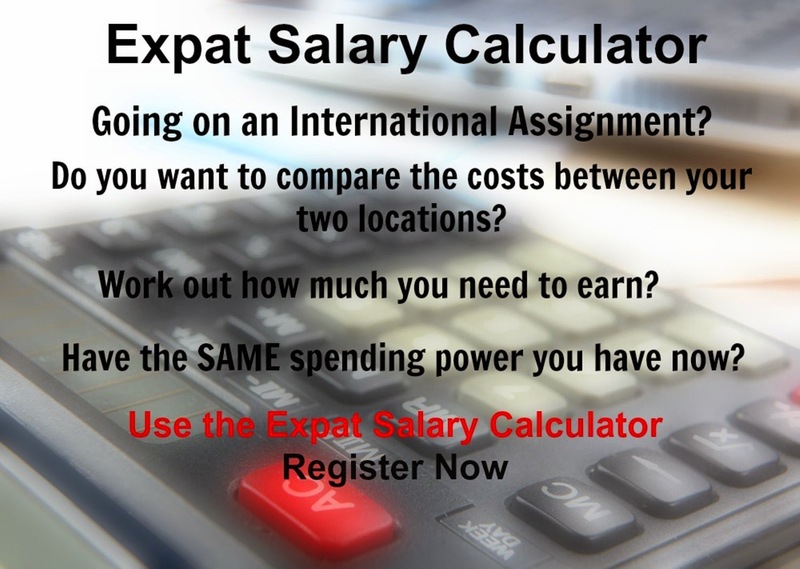 Have you seen the fantastic expat apps available for your mobile devices? Here are some that are well worth looking at downloading whether you are travelling or trying to settle into a new city from apps that help you to connect with expat communities to getting to know your new location. These are the few really cool apps that I found to help you out….. This app helps you to save 50 – 90% at restaurants, spas, gyms and more for great daily deals. Each day the app gives you a new, cool thing to do in your city including some great discounts, download it free for iPhone or iPad. This app allows iPhone users to make free phone calls to fellow iPhone users, wherever you are in the world. Providing you both have iPhones, then international calls using Viber or Wi-Fi are completely free of charge, currently iPhones only, but keep a look out for the Android and Blackberry versions coming soon. Does your host city have a different measurement system to what you are used to back home, or having a conversation where you have to convert pounds to kilograms, then this is your app. Measures helps you to convert just about anything you can imagine, name it and it will convert it. Available for Apple devices only at the moment. Another popular Currency conversion app, available on iPhone, iPad, Blackberry and Android. It is capable of performing multiple conversions at the same time, refreshes every 60 seconds so you have the most up to date rate available, and you can program the app to automatically track the performance of a number of different currencies over time, great for investments in a variety of locations. You can use this to translate words and phrases between more than 50 languages with the ability to speak the phrase you want translated. Great in helping you out in those tricky language moments. Available on Apple and Android devices, though it should work on any device. This is not only a useful app, but a fun one to use too. The app steals your lips and transforms them into a multilingual speaker. You simply take a photograph of your lips (or someone elses), choose the phrase you would like to say in the foreign language, hold your phone over your mouth to create the effect that you are speaking the words. The app is currently available in French, German and Arabic. What this video to see how helpful and fun this can be. This is a really handy app that provides metro / tube maps for 126 cities around the world. Each map is scalable with zooming options to help you find your way around. Available for Apple devices only, but there is another app aMetro which is available for Android devices. For a small fee iMetro – USD 1.99 (CHF 2.02, EUR 1.38) provides metro maps for 28 cities around the world, including Lausanne, Paris and Berlin. There are quite a few metro apps out there, but I like this one best because of the large number of available maps for the low cost. This app helps you to find your way around the city itself. Though Google Maps are great, they do require an Internet connection, if you are wondering outside of where you have been before. CityMaps 2Go app from Ulmon Offline Maps enables you to download offline maps to more than 2900 cities around the world with more being added each week. Depending on your connectivity it can even find your location and tell you which way you're facing. CityMaps2Go is available for Apple, while MapDroid is available for Android devices. Do you need a more visual tour when walking around with a bit more assistance, then simply install the GPSmyCity.com app onto your iPhone. Then load the virtual map and follow the onscreen instructions to explore the city and learn more about its history. Each tour is categorized according to length and distance so you can fit your tours in around your schedule and explore at your own pace. Available on Apple devices only. For newly arrived expats this is great to explore your host country on foot without having to carry around a tourist book, the Tourcaster audio walking tours offers walking tours in popular destinations throughout the world. Available on any device that can play MP3s. On Foodspotting, you can upload a picture of your food, say what it is and where you found it, allowing food-seekers to find good food instead of just restaurants. Such a great and simple idea! Foursquare is an alternative social network that allows you to search for local communities and interact with friends. You can invite people or add existing users to your network, as well as finding friends within the local area. The simple badges reward system for “checking-in” to a venue adds a competitive edge, the more you check-in, the closer you get to ‘Mayor’ status. A titled envied by many. The location services can pinpoint your exact location and suggests local sights and restaurant listings and you won’t look so much like a tourist in your new home. This database identifies free public toilets around the world. Over 65,000 toilets have been identified by users. To use, enter the nearest address, city, zip code or intersection and it will generate a list of the nearest toilets. Plus check out the reviews and comments for each toilet at www.sitorsquat.com to ensure it doesn’t become a messy business. This app provides over 30 international airport terminal layouts. It runs offline, avoiding charges for uploading data overseas. Travelers can check the map the airport in-flight so that they can find their destination quickly after landing. Integrating online travel organizer Tripit, saving your flight itineraries and keeping you up-to-date on delays, gate changes, cancellations, just to name a few things. The offline mode allows you to check your most recent flight details without the use of wi-fi. A handy little checklist to ensure you are packing the correct clothing for your trip. Create your own list or work from one of several custom templates. This little baby solves the problem of how to keep track of all the daily cash transactions that occur on vacation or in everyday life overseas. This is a top-notch tool for accounting as well as budgeting. This handy app locates free wi-fi signals nearby; perfect for the traveler on the move. 1) View local photos posted from within 10km of your current location. Share cool local pictures that you discover with friends via Facebook, twitter and email. 2) View share and comment on Local videos posted from within 10km of your current location. Share interesting local videos via Facebook, Twitter and email. 3) Read constantly updated local news from over 90 countries. 4) Easily access 270+ airline sites directly. 5) Quick access to travel booking and information sites right within the App. 6) A nice collection of Expatriate specific online resources organized into easily navigable categories. 7) View Seating charts for most airlines. 8) View Gate information for many airports worldwide. 9) Request quotes for international relocations. 10) Find international Real estate including apartments. Share your location and photos via Tweets, and Facebook posts from within the App. The Expat App supports both iPhones and iPads. Those are just a few of the apps that we found useful. Have you discovered any great apps that have made your life overseas more manageable? Please drop us a line and share details of them with our expat community.